Discussion in 'Installation/Configuration' started by Dionkoffie, Nov 17, 2016. I'm trying something new out on a test server of mine, so I installed ISpconfig to see how it all works and stuff. The installation on Ubuntu 14.05 went fine, but I'm running into some problems. httpsdionkoffie.xyz:8080 is the domain I'm using, but when I connect to that adress it gives me the SSL_ERROR_RX_RECORD_TOO_LONG error. I'll have to fix that later, but https212.187.98.180:8080 seems to work just fine. It's a little workaround. TTP when I create a website and I navigate to the url it navigates to http212.187.98.180 and it'll give me the standard Apache2 default page. 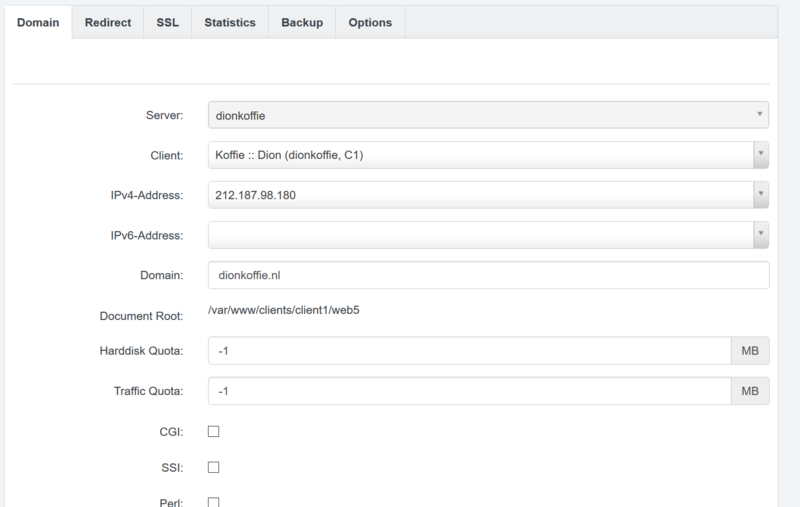 For example I've created a website linked to the domain http dionkoffie.nl but it navigates to the standard Apache2 page. 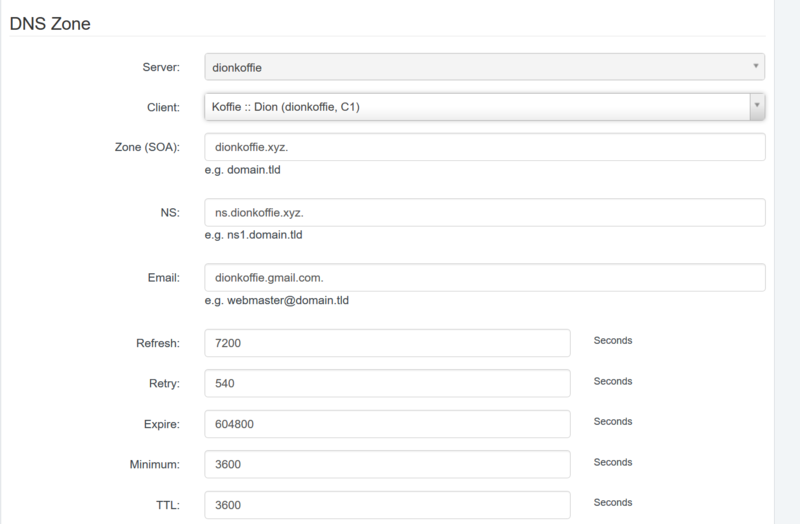 Actually this is common sense since I've set the DNS of the two (dionkoffie.xyz/dionkoffie.nl) to my IP (212.187.98.180) so there's nothing wrong about that but I want it to navigate to the website I created with ISPconfig. Do I set this up properly? Left the rest of the settings stock.